The holidays are always a great time to decorate! 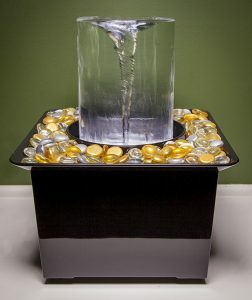 The tabletop Quox Creek Vortex Fountain will help you share the spirit! 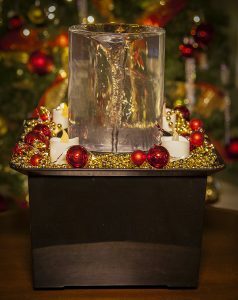 From Thanksgiving through New Years Day, the tabletop fountain makes it easy to celebrate the joy of the season! The lift-off decorative tray lets you add or change decorations in minutes. 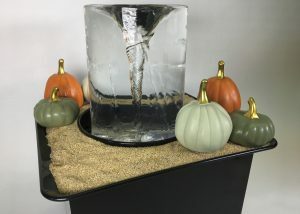 Add a few autumn pumpkins to your Vortex Fountain for a cornucopia look on the Thanksgiving table. It’s a fantastic conversation piece for holiday parties and family gatherings. With Christmas just around the corner, add festive garland, a few ornaments, and some lights to greet Santa as he comes down the chimney. Be sure to leave some milk and cookies nearby, too! And bring out the silver and gold to ring in the new year! 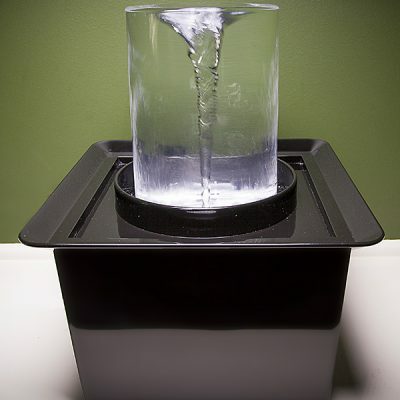 Just pop off the decorative tray, switch out the decorations, and put the tray back on your fountain. 1-2-3-done! Show us how you decorate your fountain! Snap a few photos and share them on our Facebook and Twitter pages!